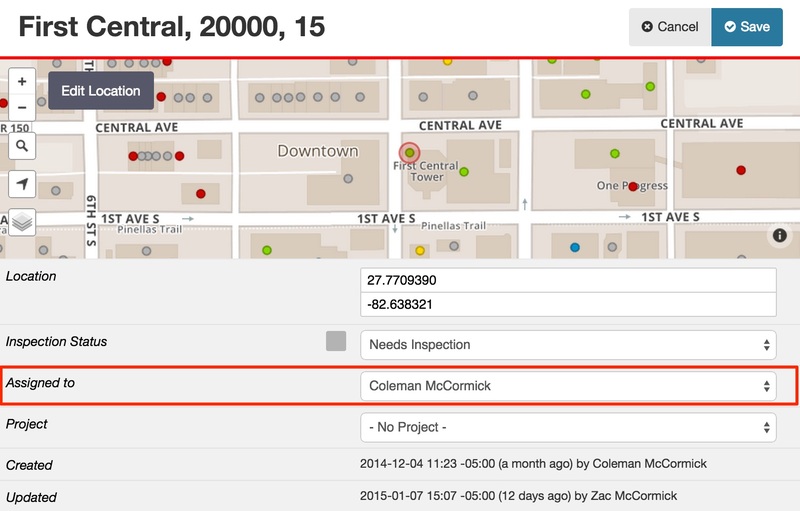 Using record assignment to manage task queueing and work management for your field data collection. This can be useful for ensuring that each team member gets assigned specific pieces of work or to ensure that confidential data is only seen by qualified users. Records can be assigned through the record editor on the web app or by using the import tool to mass-assign many records at once. When editing a record on the web app, you will see an editable choice field within the record's metadata section on the record editor. Whether you are importing new data or assigning previously collected data you can use to import tool to quickly assign a large number of records to your organization’s users. 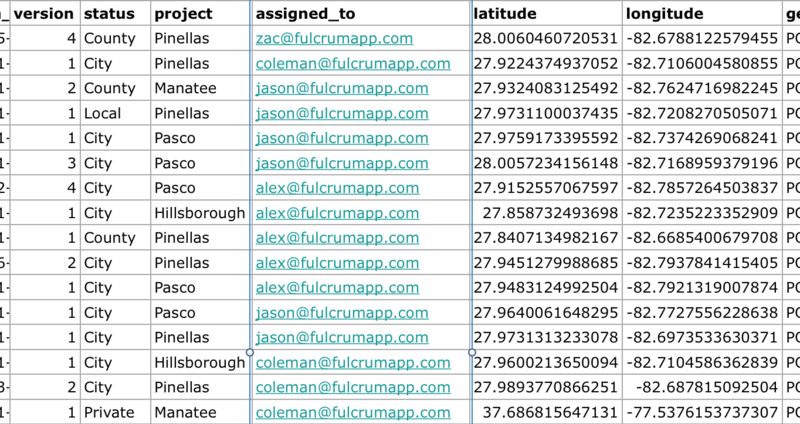 To assign records this way, open up your data in a format you can edit (like Excel or another spreadsheet program) and you’ll see a assigned_to column here containing the email address of the currently assigned user (if the data was not exported from Fulcrum you will need to add this column to the CSV file). Populate the email address of the user to which you want to assign each record, then import (or reimport) the data to mass-assign those data to their respective users. Read more about how to use the import tool to update existing data. Record assignment is disabled by default and can be enabled or disabled from the settings tab on the app dashboard page for a specific app. When record assignment is disabled for an app, any records that are assigned will have the assignment value removed (set to null). This will trigger an edit for that app and, as a result, a new record version in the history. Disabling record assignment will allow all users in an app to view and edit all records in the app. When a user's access to a record is revoked, like when the record is assigned to another user account, the mobile apps will retain an old version of that record. The user will not be able to sync any changes to that record and they will not get any updates from that record. In order to remove the record(s) that the user no longer has access to, they can either be deleted locally on that device or the record cache can be reset on the mobile device (found in the settings page of the Fulcrum mobile apps).